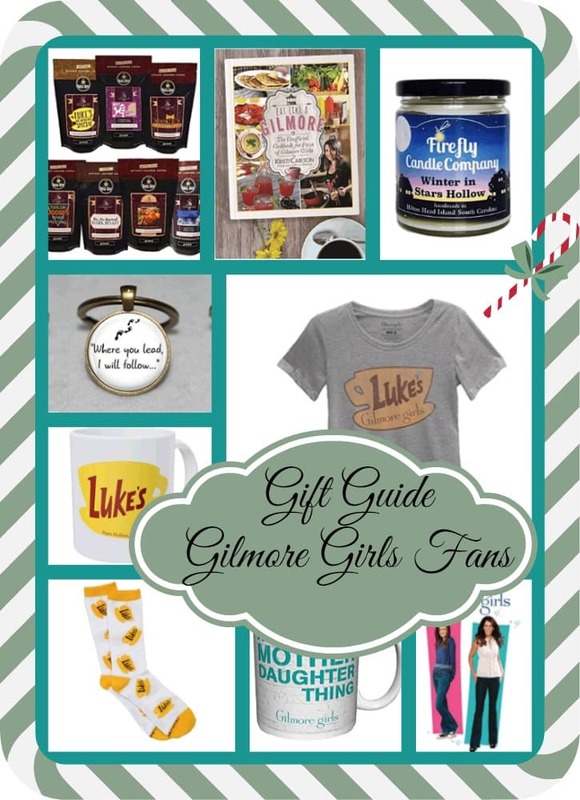 Do you have a Gilmore Girls fan on your gift list? I do! My daughter is crazy about the show. We just watched the marathon on UPtv over the Thanksgiving holiday. 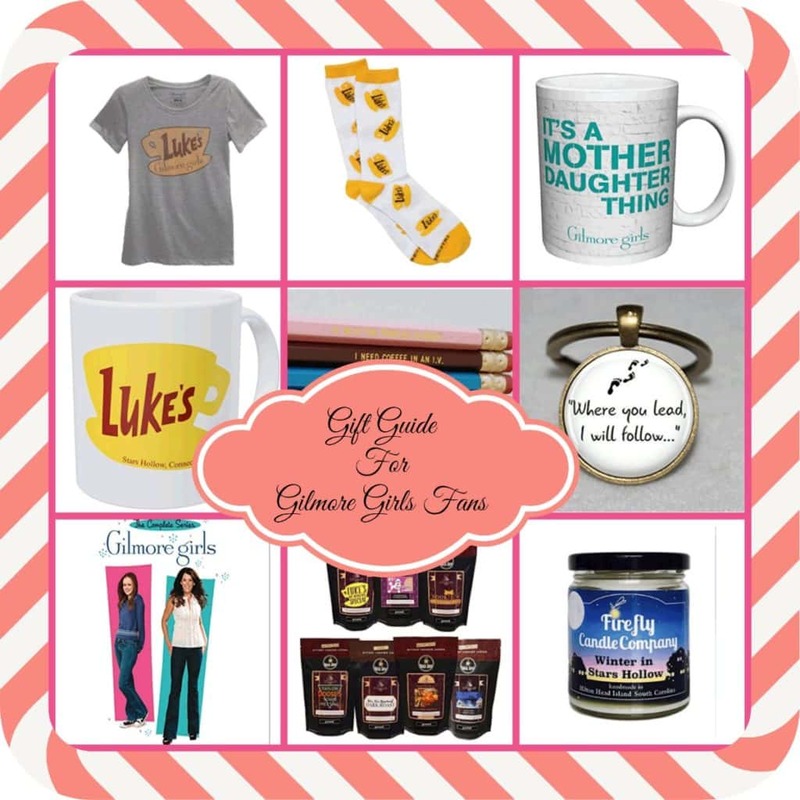 While I was searching for some gifts for her, I put together a roundup of Gilmore Girls gifts to share. Prices and availability change quickly, especially at this time of year. Be sure and double check and make sure you can get your gifts in time for Christmas. All of these Gilmore Girls inspired gifts are showing available on Amazon.com at the time of posting. We have affiliate relationships so we may get a small commission with your purchase. Kick off the gift giving season with the complete series with all the Gilmore girls episodes! Sip a cup of coffee in a mug from everyone’s favorite place to have a cup – Luke’s Diner. You can’t go wrong with this gift. Fill it with some chocolate and wrap. Easy gift giving! Light up the evening with this lovely candle. It’s handmade right in South Carolina and is a nice twist on the Gilmore Girls gifts. Bring out her playful side with these cut Luke’s Diner socks. Keep the tootsies warm while binge-watching the shows. You bought the socks and the mug now get the t-shirt. Casual wear that is just plain fun! This would make a wonderful mother-daughter gift set. If you are a mom get one for you and your daughter or vice-versa. Tuck a pair of socks in the cup for an innovative little gift. Perfect for the student or the gal who works in the office. A unique gift that would also go nicely in one of the coffee mugs, which could double as a pen or pencil holder. A keychain is a great gift for a friend or for someone who is hard to buy for. This one has one of the show’s favorite saying engraved on it. Coffee is what we all function on and a staple at the Diner. This gift set includes Luke’s No-Nonse Special, Mrs. Kim-Approves Dark Roast, Sookie’s Gourmet, Taylor Doose’s Town Meeting, Autumn Festival, Winter Festival and Oy with the SnickerPoodles, Already! For the Gilmore Girls fan who has everything now, they can eat like a Gilmore girl! There are lots of delicious recipes to choose from in this delightful cookbook.